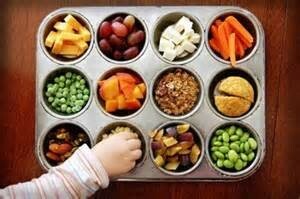 If you are worried because you have a fussy eater then you are not alone as mostly all kids are fussy eater. In order to build on their nutritional requirement parents have to do some extra hard work ,and that hard work involves just a little bit of creativity and you would be amazed to see your kid enjoy his/her snack. The summer cooler-In order to make your summer cooler all you need is yoghurt and some fresh fruits. Just scoop some Greek yoghurt into a bowl and add all the freshly cut fruit into in .If you want it to look attractive then you can sprinkle some roasted dry fruits and honey. Fruity popsicles-Are you worried about the surplus sugar which the market ice candies have but still want some cooler in thishot weather. The perfect solution for this is to take out fresh fruit juice and freeze it in ice cream moulds. Mint Houmous-You can replace mayonnaise and unhealthy sauces with homemade mint houmous. Team it with some homemade tortilla chips. Popcorn-All you have to do is pop in some corn in a paper bag and microwave it for 5 minutes. Once the popcorn is ready, toss them with butter and salt. Guacamole and chicken bites-Guacamole is yet another tasty dip which is not only healthy but is easy to make. You can toast some bread and spread guacamole. Add some chicken salami and your healthy bites are ready. Spring role-Simply fill in some shredded carrot and cabbage into the left over chapatti. Sprinkle some cheese and role it. Oven cook it or deep fry it. Cut into pieces and off you go. Fruity cake-If you felt the cake was unhealthy then you were wrong. You can now fill in your kids tummy with healthy carbs such as wheat oats and barley. The recipe remains the same; all you do is change the flour. Cut and add the fruits of your choice and serve hot or cold. Dates dry fruit balls-Cut the dates into small pieces and add the dry fruits of your choice. All you have to do is simply make small balls. This is a no cook recipe. You can add edible glitter and choco chips to make it look attractive. Smoothies-If your child does not like fruits then all you have to do is blend the fruit in a blender and serve it in an attractive glass. Soup-Steer clear of those high in sodium 1 minute instant soups as they are of no good, instead make some fresh soups for your little one. It’s a great way to fulfill all the vitamins which are required for a growing child. I am sure after reading the above ,you would not worry about what to serve your child for tea.